The Demonstration presents the chlorite-iodide-malonic acid (CIMA) reaction, which gives rise to temporal oscillations. 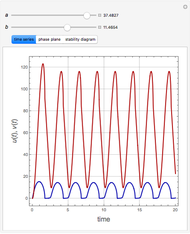 Oscillating patterns are observed for . 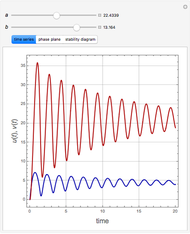 In fact, oscillations are obtained in snapshot 1 for and . 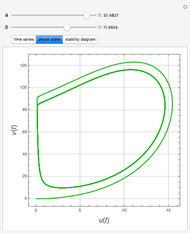 The phase-plane diagram shows a limit cycle. 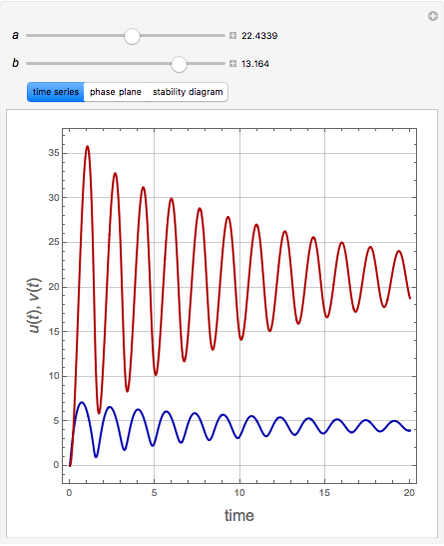 On the other hand, a stable steady state is found for and (snapshot 3). 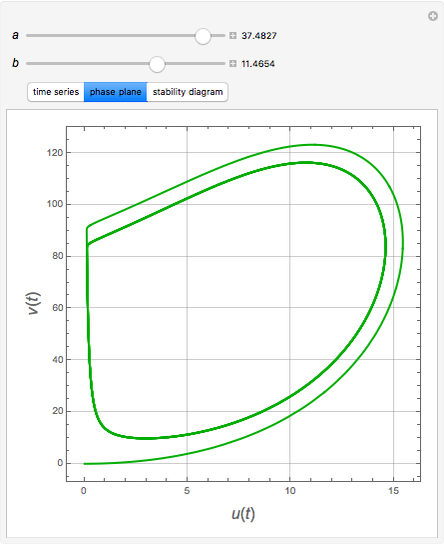 Phase-plane analysis shows a stable node. 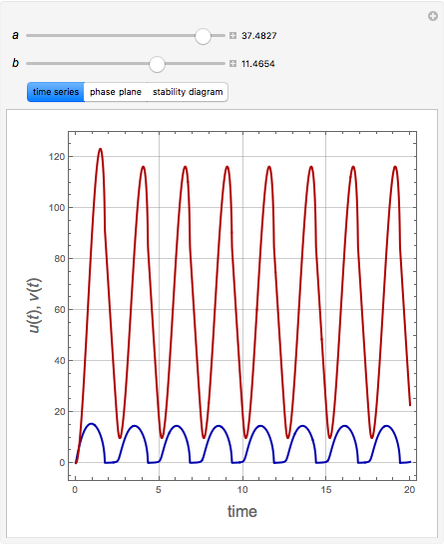 The locations of the selected parameter values are plotted in the stability diagram that demarcates the parameter space between limit cycles (periodic oscillations) and damped oscillations. I. R. Epstein and J. A. Pojman, An Introduction to Nonlinear Chemical Dynamics: Oscillations, Waves, Patterns, and Chaos, New York: Oxford University Press, 1998. G. Nicolis, Dynamique chimique: thermodynamique, cinétique et mécanique statistique, Paris: Dunod, 2005. Housam Binous, Brian G. Higgins, and Ahmed Bellagi "Chlorite-Iodide-Malonic Acid (CIMA) Reaction"